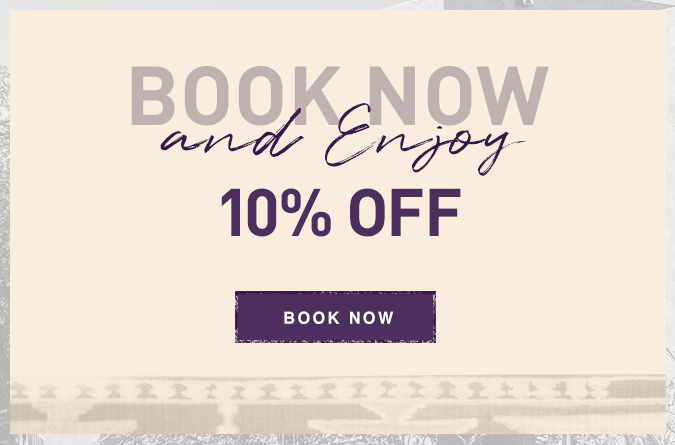 The rich aromas of white sage, organic lavender and wild pinon sap transport guests into a world of indulgence and pampering at The Spa at Hotel Santa Fe. Our highly skilled massage therapists draw on a variety of techniques, including Swedish, deep-tissue, cranial-sacral, and energy work, to create a unique, personalized experience. 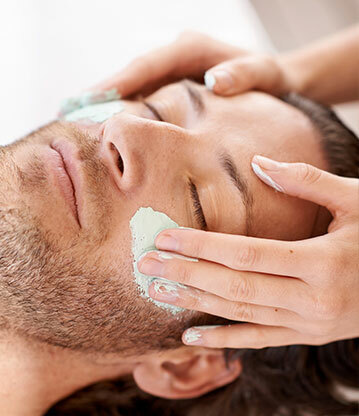 From massages to facials to full body treatments, the Spa at Hotel Santa Fe offers purifying, holistic services for men and women. 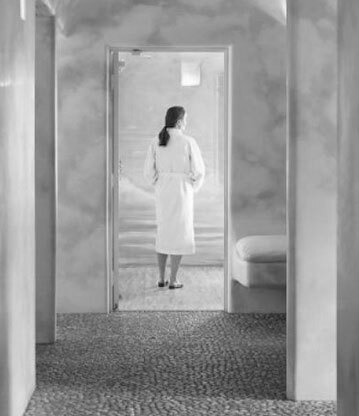 At The Spa at Hotel Santa Fe, we customize every therapeutic massage to meet your specific needs. Using warm oil and hot towels to ease tired muscles and restore balance, our licensed massage therapists tailor each treatment for maximum relaxation. A restorative experience tailored to your individual needs. Your customized therapeutic massage will focus on relaxation and relief of muscle tension. Our warm stone massage initiates a profound state of relaxation and grounding. Combining stones with massage provides deeper pressure, increased circulation, and healing warmth to support balance in the body, mind and spirit. Relax side-by-side with a close friend, family member or significant other while two therapists perform simultaneous massage. Traditional "Abhyanga" massage with soothing rhythmic strokes stimulates the lymph and calms and balances the nervous system for a replenished sense of well-being. Warm aromatic oil will complement your "dosha" body type. A targeted stress relieving treatment focused on the upper back and neck. Effective on its own or a perfect addition to any of our other services. 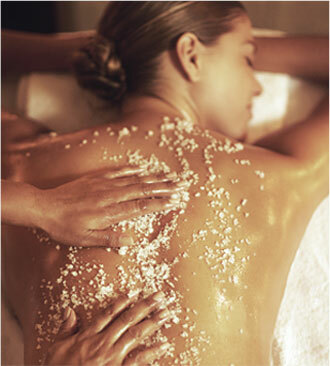 Begin your spa ritual with an aromatic mineral replenishing body polish to awaken and smooth your skin. This is followed by a nurturing warm stone massage, relaxing to your deepest core. Our healing package begins with a calming lavender foot bath. After a light body brushing to exfoliate the skin and stimulate the lymph, the ritual continues with a detoxifying and purifying ancient volcanic clay body mask infused with the harmonizing and soothing oils of lavender and sandalwood. A customized massage completes this healing ritual. Indulge your spirit in the sacred scents of the high desert. Your treatment begins with an aromatic cedar, wild sage body polish to exfoliate and sooth dry, dehydrated skin. Following this, we apply a hydrating body mask blended with oils of juniper, pinon and cedar to regenerate and further nourish parched skin. A full body massage completes this sacred journey. The relaxing power of massage combined with the ceremonial scent of native sage will clear away travel fatigue and stress. Special attention is given to tired feet with a concentration on reflexology points. Our sage infused herbal wrap grounds and detoxifies, allowing you to enrich your Southwest experience. A powerfully effective way to exfoliate and soften skin. We use our brown sugar scrub to restore smoothness, then we apply a vitamin-rich pumpkin mask. You are warmly wrapped allowing the products to further replenish your whole body. Reflexology is considered a non-intrusive complementary healing modality based on the theory that different points on the feet and lower leg correspond with different areas of the body. Our foot treatments will restore and relax your entire body. This ancient Thai-based Healing Art attends to your feet, lower legs and knees and is designed to achieve balance throughout the body. We combine stretching, massage and the use of a traditional wooden stick to stimulate the reflex points and increase energy flow. 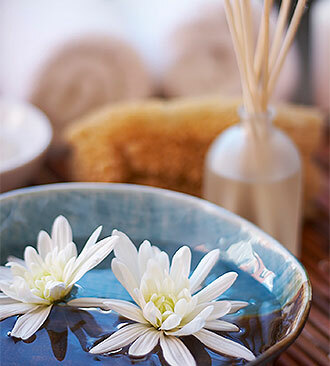 Experience this unique balancing and replenishing treatment at our Santa Fe spa hotel. Relieve aching tired feet with this treatment. Attention given to specific pressure points will activate your body’s healing energy. The result is deeply restorative. The Spa at Hotel Santa Fe uses natural products to restore and replenish skin exposed to the high desert climate. Facials include a shoulder and scalp, hand or foot massage. Often described as a natural face-lift, this facial utilizes unique enzymes that stimulate cell metabolism to improve your skin’s appearance. The result is a glowing and radiant complexion. This facial combines the age-fighting ingredients of Alpha Lipoic Acid, DMAE vitamin A, C and E to leave the skin looking infinitely more youthful. Your skin is first smoothed with a delicate, yet efficient Microderm polishing scrub. Next, high-powered antioxidants are deeply absorbed into the skin with the unique Silver Ion Mask application. This treatment is effective in reducing the appearance of fine lines, sun damage and wrinkles. The perfect treatment for addressing acne, hyper pigmentation, fine lines and wrinkles. This facial will promote a smoother, younger appearance. Incorporates natural elements to produce soothing skin-quenching results. Featuring Noni Fruit, which has outstanding anti-oxidant benefits. This facial’s key ingredients build the health of the skin. A deep cleanse and clay mask refreshes and revitalizes your skin. Stress and tension are massaged out of your neck, shoulders and scalp with our White Sage Purifying Oil. Waxing services only available with a facial treatment. 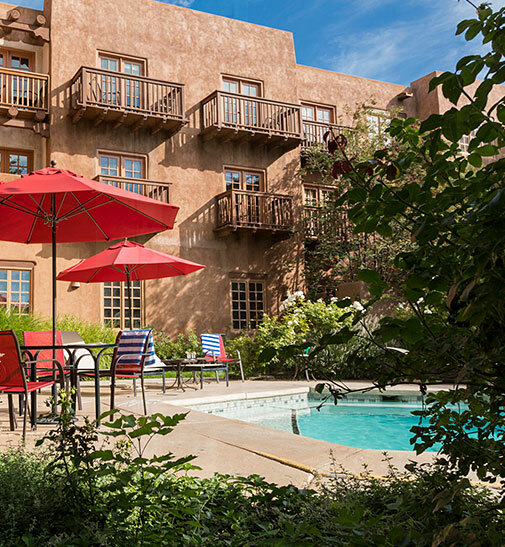 Hotel Santa Fe offers guests a secluded setting for rest and relaxation in the heart of historic downtown Santa Fe. 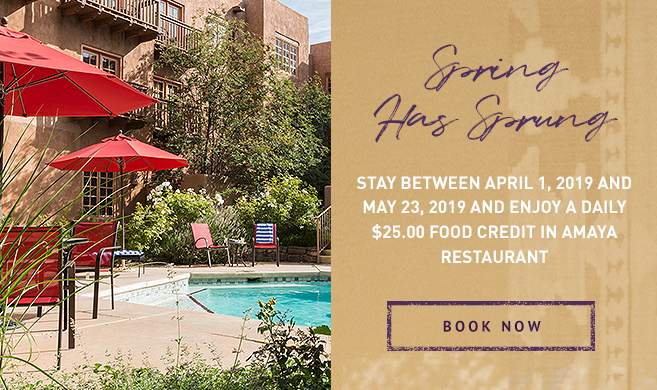 Marvel at the natural beauty and lovingly preserved Pueblo-Revival architecture of Hotel Santa Fe. Sunbathe by our outdoor swimming pool and hot tub, surrounded by lush gardens, and explore three acres adorned by Native American sculptures and totems.